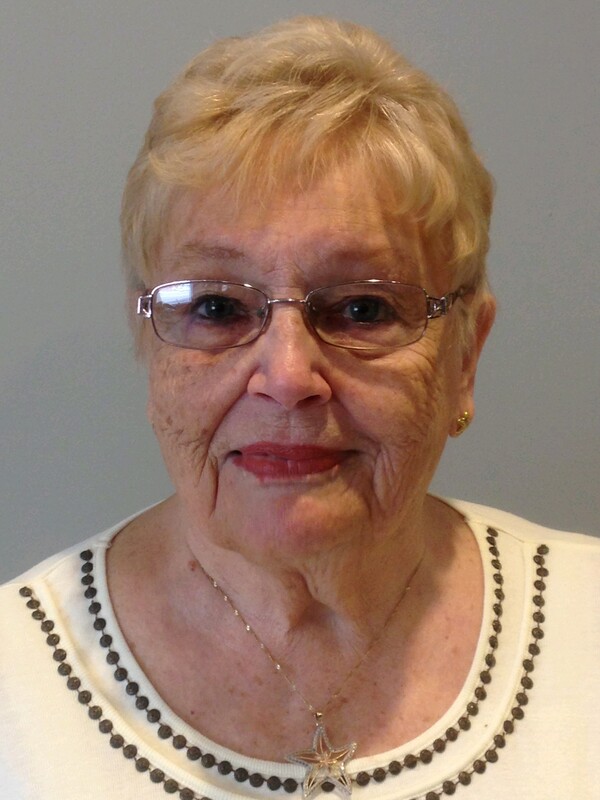 Carolyn A. Burgess, 81, of Tinadell Road, Bradford, passed away Wednesday, September 26, 2018, surrounded by her loving family, at the Bradford Regional Medical Center. Born March 1, 1937, in Bradford, she was a daughter of the late Charles Mendell and Hazel (Schattenburg) Carlson. On November 3, 1956 in the Asbury United Methodist Church, she married Rodney F. Burgess Jr., who died March 3, 1995. Carolyn was a 1956 graduate of Bradford Area High School. She had been employed as a secretary for the Bradford Area School District for over 25 years. She was a member of Bradford High School Alumni Association Class of 1956, Eastern Star, Red Hats, Eagles, Curves, Weight Watchers, former member of the Derrick City United Methodist Church and a current member of Hill Memorial United Methodist Church. She also was a volunteer at Evergreen Elm. Surviving is her companion of 21 years, James E. "Ed" Mackey, five children, Barbara (Brenda Salge) Burgess, of Huntington, IN, Brent C. (Charlene) Burgess, of Bradford, Rodney P. "Skip" (Belinda Roberson) Burgess, of Lytle, TX, Susan Raabe of Bradford and Deborah (Greg) Hogue, of Bradford, many grandchildren including Kyle Burgess, many great grandchildren and several nieces and nephews. She was preceded in death by her parents, husband, two sisters, Donna Pearce and Betty Hallabaugh. Family will be receiving friends on Sunday, September 30, 2018, from 2 to 4pm and 6 to 8pm in the Hollenbeck-Cahill Funeral Homes, Inc., 372 East Main Street. where funeral and committal services will be held at 10:00 am Monday with Rev. Jay Tennies Pastor of the Hill Memorial Church officiating. Burial will be in McKean Memorial Park. Memorials if desired may be made to Derrick City Volunteer Fire Department, Evergreen Elm or the charity of the donor's choice. Barb, We just learned of your Mom''s passing. Both of us thought she was a wonderful and sweet lady. We are so sad to hear this. To the family of Carolyn. So sorry for your loss. Our thoughts and prayers go out to you. May God bless. Brent, Barb, Kyle and families, Thinking of you all, your mom/grandma was always so kind. Thoughts and Prayers ???? We will miss her very much. Always there and always a birthday card in the mail. All of us are very saddened by your loss. We love you Grampa Mackey. Carolyn always made us feel special when we saw her. Thinking of you all and sending our love during this challenging time. Barb I’m so sorry to hear of your Mom’s passing. You and your family are in my prayers. I have enjoyed being her friend on the Internet and chatting every now and then. We have many fond memories of Carolyn. Our deepest sympathy the family.